The first rule of mushing is, “Don’t let go of the sled.” It’s also the second and third rules of mushing. 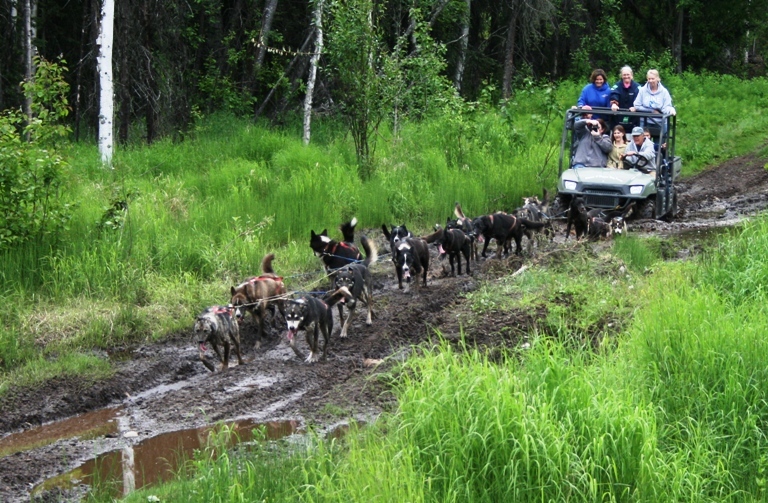 We experienced firsthand the dogs running, regardless of whether the sled is attached or if the musher is on the runners. Here is what a run behind 16 dogs looks like. ATVs are the sleds when there’s no snow. The driver maintains the right speed to keep the gangline taut.